As a mom, I know that I don’t always feel like having my photo taken. I’m tired, I’ve probably got some food substance stuck to my clothes, and my mind is running through various endings to how the latest “adventure” my sons are trying to achieve via superhero capes and couch jumping is actually going to end. But, as I look back in our photo albums from the past few years, I realize that I have been missing. I am the photo-taker, the organizer, the one that gets everyone else ready and is overlooked in our family photos. I want to have photos of me, enjoying my kids, enjoying the moments when they are little, for us to look back on in the years to come. I want my kids to have photos to remember me, at this age, at this stage. 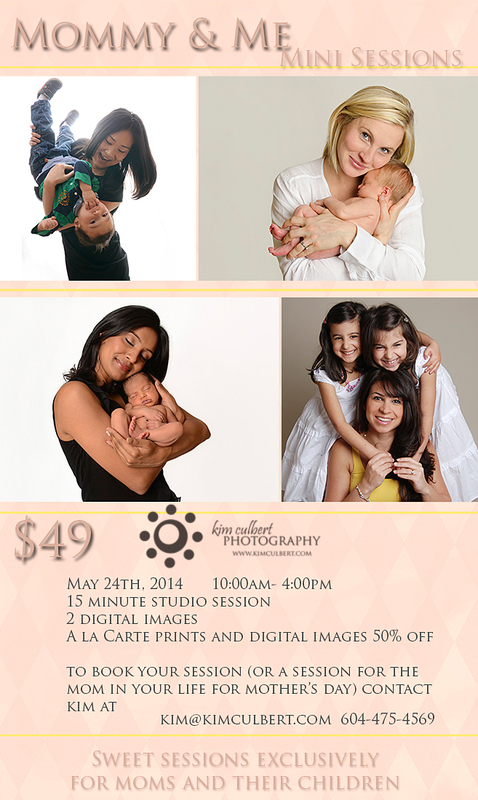 I am offering Mommy and Me mini sessions on May 24th to capture this time, these moments in your life with your little ones. The sessions will be 15 minutes (just long enough to capture some great emotions, expressions, moments and then send you on your way with some home baked goods.) and you will receive 2 digital images with a print release, and a password protected online viewing gallery with your session images. All a la carte prints and digital files will be discounted for this promotion – 50% off the regular prices which can be found by visiting my website, www.kimculbert.com – Pricing. Please contact me if you have any more questions, or if you would like to book your session. Let your man know if this is something that you would like as a Mother’s Day gift and get him to contact me at kim@kimculbert.com. Bookings are limited, and it’s first come, first served. There are approx. 10 sessions in this time frame. Take the leap and capture yourself with your children… they’ll thank you for it later. 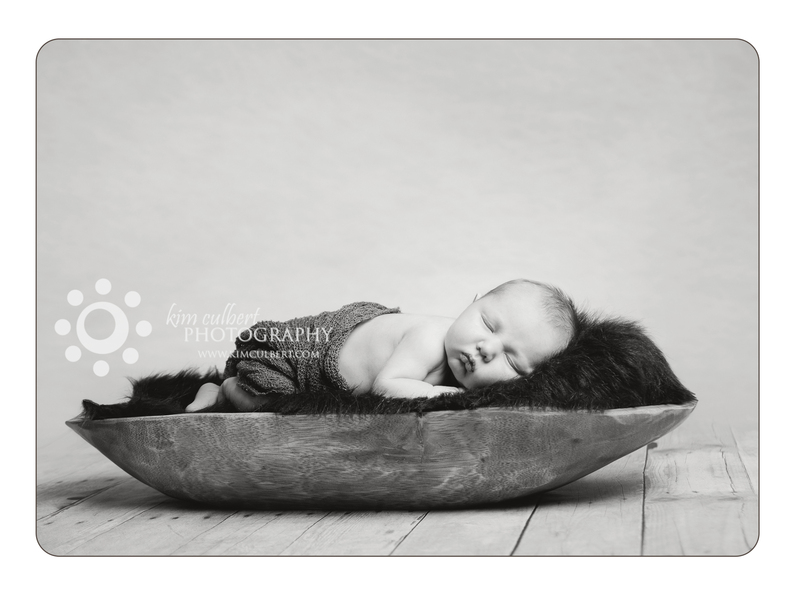 I had the pleasure of having little Mister E in the studio last week… what an amazing little guy. Only 7 days old and he had already figured out that sticking his thumb in his mouth and sucking on it was calming, so he self-soothed throughout our session. What a dream! His big sister C was amazing too… she spent her time playing in the playroom and making pizza and cake for us. Super cute. 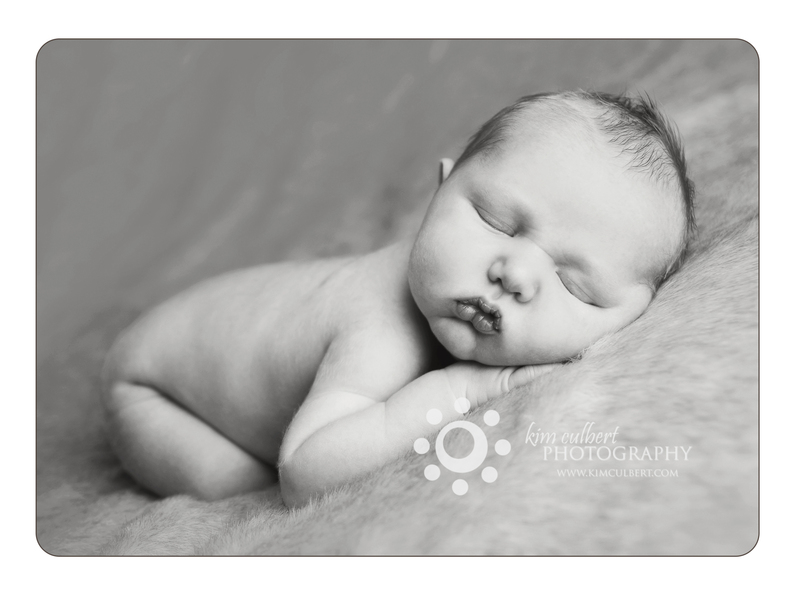 Here is Mister E’s sneak peek, in black and white because I love the simplicity and how it focuses on the important parts… the cute little baby! Enjoy! 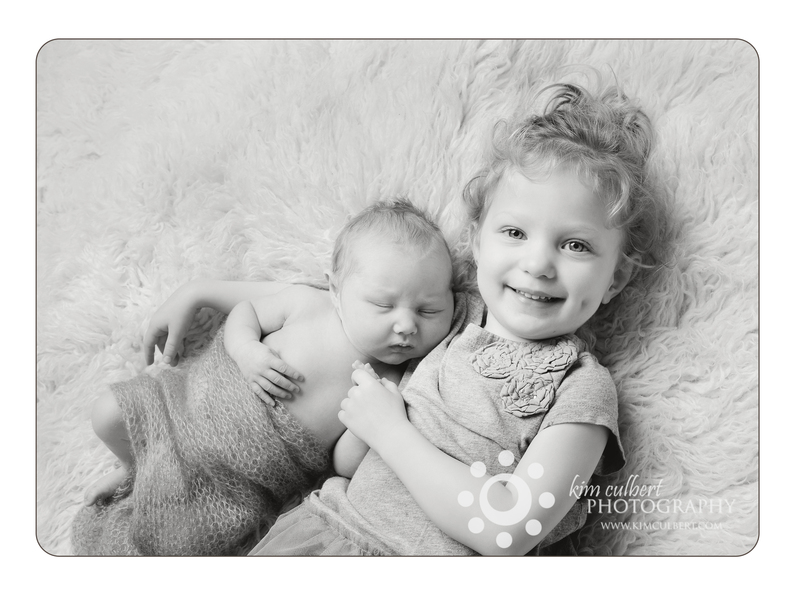 While in the middle of editing the latest addition to the J family, I thought back to 2011 when I took big sister C’s newborn photos. Here’s this week’s Throwback Thursday, to when C was just brand new! This year April and May seem to be the baby months…. so many little ones being born! This week I get some snuggles from a brand new Mr. E, and then I should be hearing some great news from Resha about her birth! It’s Throwback Thursday again, and I thought what better way, than to show a shot from my very first paid photoshoot. This lovely little girl, Miss K, was only a few months old in the first photo. I had met her mom at a Baby Group and we hit it off. The second photo is from 2011, when I photographed them again. 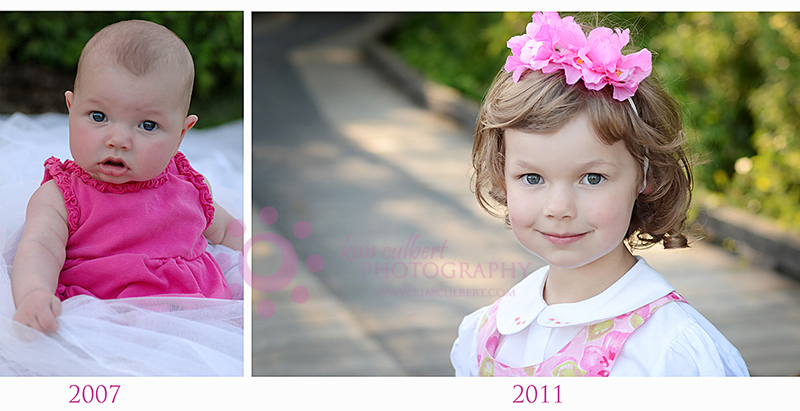 So many changes in Little Miss K, and my photography! I had the pleasure of having N and W back in the studio with their brand new little boy. Mr. C was such a charmer, staying awake for quite a bit of the session, but just relaxing and being happy. 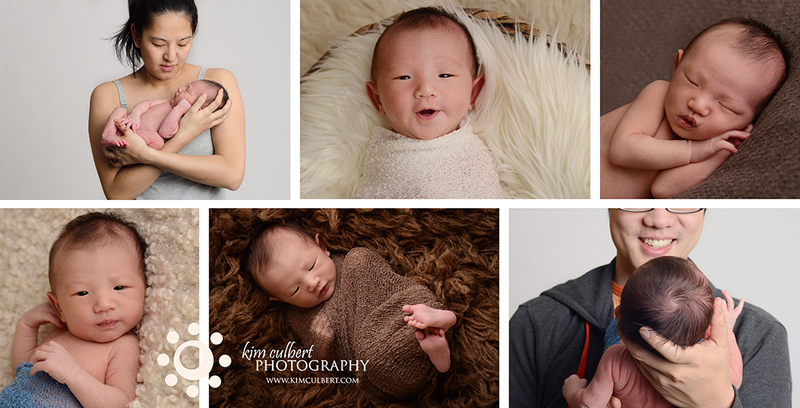 I always count my blessings when I get to shoot new babies in my studio, as I get my cuddles and coos. It’s been 5 years since my youngest was a baby, so I’m always glad to snuggle with the little ones for the short time I see them.